Reviews of the Nikon D3200 from around the web. The D3200 ($699) is the entry-level camera in Nikon's digital SLR line-up. It's designed to be consumer friendly (in terms of both price and features), but Nikon didn't skimp on features here. The D3200 features a whopping 24.2 Megapixel CMOS sensor, 4 frame/sec continuous shooting, 1080p HD video, a good set of manual controls, and optional Wi-Fi support. It's also very easy-to-use, with a Guide Mode that helps beginners take better photos. 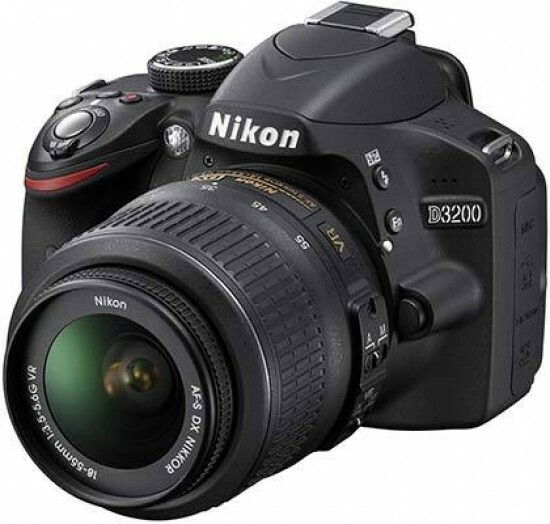 The Nikon D3200 is the company’s latest entry-level DSLR. Announced in April 2012, it replaces the best-selling D3100 and like that model, makes a number of key improvements. The headline upgrade is pure resolution with the new D3200 boasting nothing less than 24 Megapixels, a whopping ten more than its predecessor - indeed it subsequently becomes the highest resolution DX-format body in the Nikon range, let alone the highest entry-level model.